We can provide fast and reliable IT and tech support services both remotely and at your office. We hire well educated, personable technicians with plenty of field experience to provide custom support for our clients’ needs 24 hours a day, 7 days a week. We cover everything from managing ticket queues to installing anti-virus and anti-spam software and providing courteous help desk assistance. Whatever your IT support needs, we can provide you with a well-trained, experienced technician and the right tools to help you focus more on your work and less on technology issues. What types of workstations do you support? Do you offer support for security solutions? What's your process for handling IT support? Do you support companies outside of L.A.? We support virtually all of the most popular types of desktops and laptops. From firewalls to desktops and even managing your other vendors! Some of the more popular desktop items we support are Windows, Mac, Linux, Unix and many others. We enable organizations to provide comprehensive support to and from nearly any mobile device or platform, regardless of where support representatives or end-users are located. With our services, you can get support for tablets and smart phones with the same solution used for desktops, laptops, servers, routers, and more. Do you offer IT support for security solutions? Absolutely. We know how important security is to you, your company, and your clients. The security support we offer can effectively protect you and your end-users from being stalked, conned, or blackmailed—risks that are all too real when you use the Internet. With our services, you will have access to a dedicated help line that provides immediate assistance should you have any concerns about computer security. What's your process for handling IT support requests? When you experience any interruption to your workday from IT related causes, we know that time is of the essence. So, we’ve created multiple avenues for you to contact our team and solve your problem quickly. Call – This is often the fastest way to solve more critical issues, such as crashes or time sensitive problems. Our Help Desk is always ready to help. Email – This is an excellent option for those who need support quickly but it’s not an issue that requires immediate resolution. Online Form – We host a Client Tech Support form on our website that works much the same way email does. Our clients often bookmark this page so they can simply click and submit their support request. 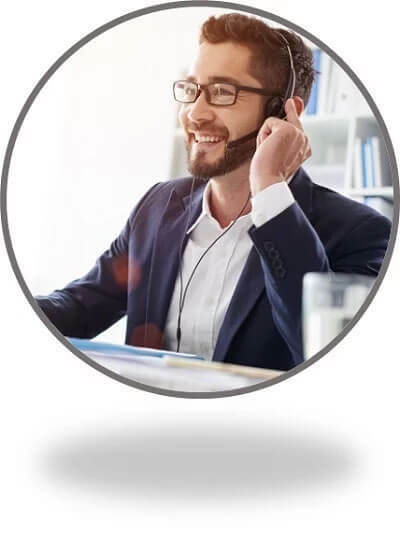 Once support has been requested or called in, our Help Desk technicians resolve the issue remotely or send a support technician on-site if it requires a more manual actions to fix it. Do you support companies outside of LA? We do! It’s common for our clients to travel or have remote offices outside of Los Angeles (or even the U.S.). If they experience technical issues, we remotely access their desktop, laptop, server or even mobile device to provide technical support.